Last week while waiting on line to deposit a check at a midtown bank, I noticed a new sculpture across the way in the plaza at the Lever House. 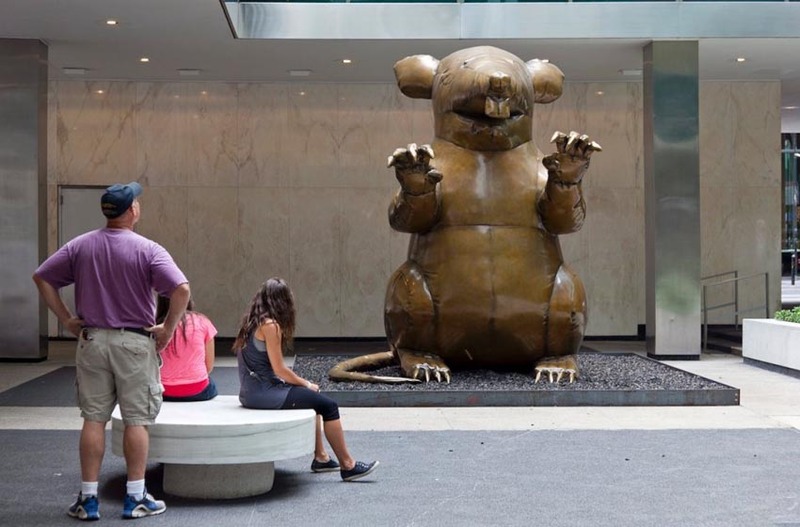 The New Colossus, as it is titled, is a bronze replica of the giant inflatable rats that labor union strikers often park outside the employer’s premises they are picketing, usually for hiring non-union workers. There’s definitely some irony there, seeing this working class object converted into a piece of fine art in a very white collar part of NYC. The group behind the sculpture is the Bruce High Quality Foundation known for their provocative art. 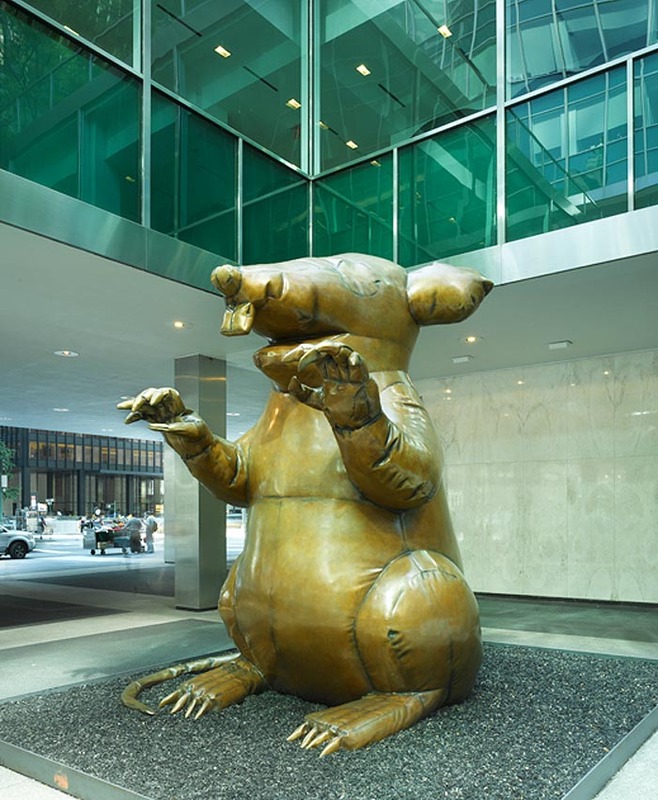 The rat has actually been at the Lever House since last July when it accompanied an exhibit of the group’s works in the lobby called Art History with Labor: 95 Theses. The show consisted of real objects including a bucket with a mop, a wheelbarrow with a bag of soil, a floor polisher, a ladder, a trash can, and other elements that made it look like a construction site. Each object had a built-in audio speaker with voices emanating from them reading texts about art and labor, as if the objects that experienced the daily work became animated. I wish I had seen the show, but I wasn’t even aware of the rat until last week.